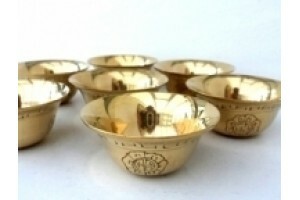 Sets of seven Offering Bowls in silver plate, brass and copper (either plain or carved), brass Circum, and brass Kapala. 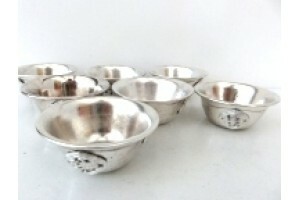 This set of seven offering bowls is made from good..
Set of seven 6 cm diameter Offering Bowls made of ..
Set of seven plain offering bowls made of good qua..
6.5cm silver plated offering bowls with auspicious..
Large brass set of seven offering bowls with Auspi..
Copper and brass Bumpa 18cm tall. 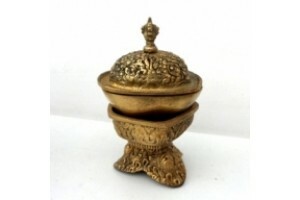 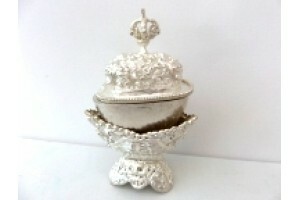 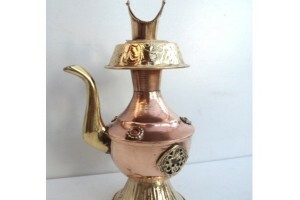 Decorated with a..
Large Engraved Brass Offering Bowls. 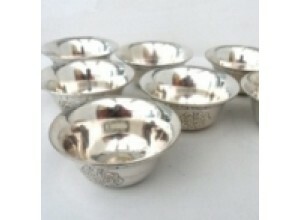 8.6 cm diamet..
Silver plated Kapala 15cm high. 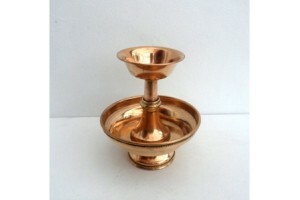 This rare and very..
Small copper circum 12cm high x 10cm diameter..